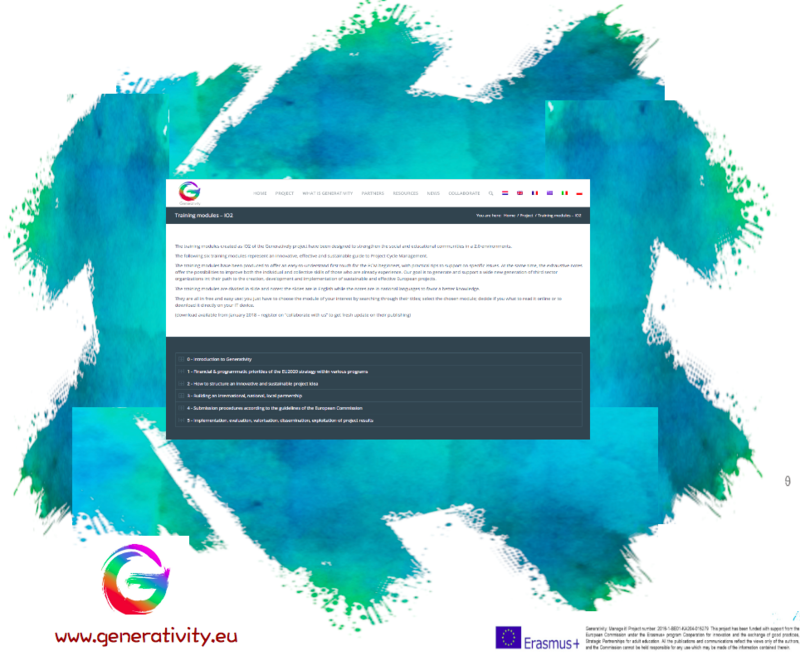 Just a few days are missing for the publication online of the training modules on Project Cycle Management that we have developed within the Generativity project. The partners implemented the six training modules out of the original concept that I developed some years ago with Federica Cadeddu. The modules were tested with the project staff during a collective, intensive 5-days training event. After a precise evaluation conducted by Dave Oborne from EEC, we re-worked them in order to maximize their efficacy. Then the modules were divided among the most experienced project partners: Diciannove, Danmar Computers, Cardet, EEC, University of Thessaly, KEA. Following the result of the training experience and of the evaluation, the slides were refreshed; practical tips and suggestions were incorporated, together with notes to make them even more exhaustive. As I posted previously, the Erasmus+ 2018 call is out. We want to support the wider audience that will be interested in the development of new project ideas. Just 3 more days to go & the six training modules on Project Cycle Management will be available online in six languages: English, Italian, Polish, Greek, Dutch and French.